Bring new life to your parish. We've reached millions of people with the good news through social media and now we want to bring that excitement to your parish to help you reach your community. We work to pair together a team of highly sought after speakers and musicians to suit your needs. Usually a big expense for your parish means choosing to not do something else. We want to give you more by including one additional service to each mission. 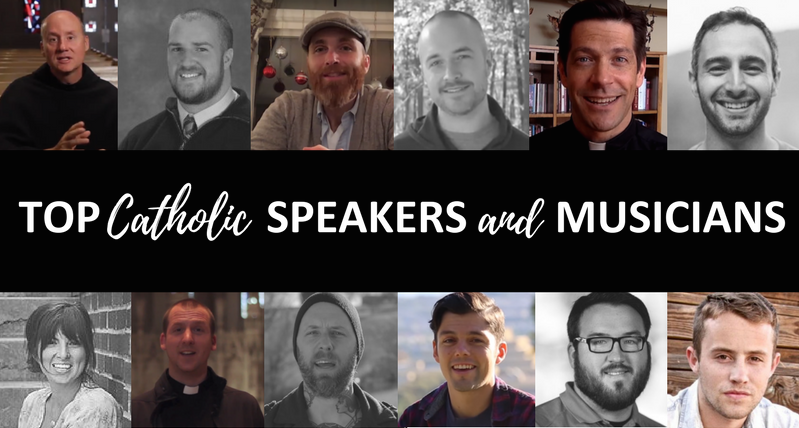 Choose from: staff training, staff retreat, staff coaching, mother's group event, men's breakfast, youth ministry training, religious education volunteer training, youth ministry event, concert, or we can craft something specific to the needs of your parish. Andy Lesnefsky, Fr. Mike Schmitz, Zach Eckert, Kris Frank, Fr. Joe Freedy, Michael Gormley, Andrew Laubacher, Bob Lesnefsky, Kelly Pease Lombardi, Fr. Dave Pivonka, Dave VanVickle, Ben Walther, Joe Killian and more! In addition to the event, at no charge we will provide you with a professionally design promotional flyer, a road map to a successful parish mission, and a promotional plan. We want to help your parish come alive by being a catalyst for reaching people and growing your ministries. Booking now for 2019, but we have some limited availability for 2018. Contact us today to get your preferred dates. 2 person Team (1 Speaker/1 Musician), 2 nights, includes one add on. These would be weeknights. Cost- $5,500 plus travel, food and lodging for presenters. 2 person Team (1 Speaker/1 Musician), 3 nights, includes one add on. This includes Sunday promotion at Masses by speaker and musician, Mission Sunday, Monday, and Tuesday Night. Cost- $7000 plus travel, food and lodging for presenters. 3 person Team (2 Speakers/1 Musician), 3 nights, includes Two add ons.This includes Sunday promotion at Masses by speaker and musician, Mission Sunday, Monday, and Tuesday Night.Cost- $8500 plus travel, food and lodging for presenters.